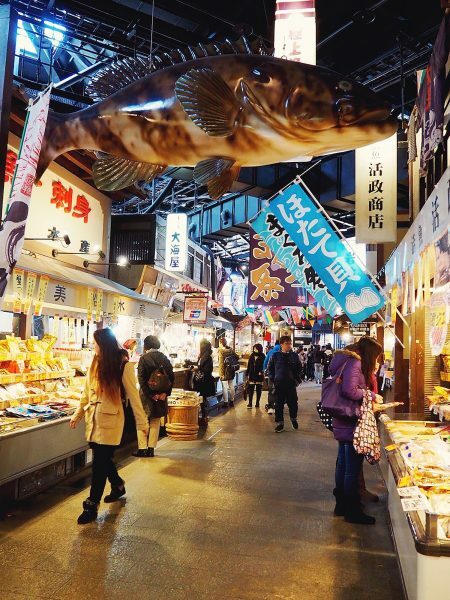 Kuroshio Market is located on the west side of Porto Europa within Wakayama Marina City. 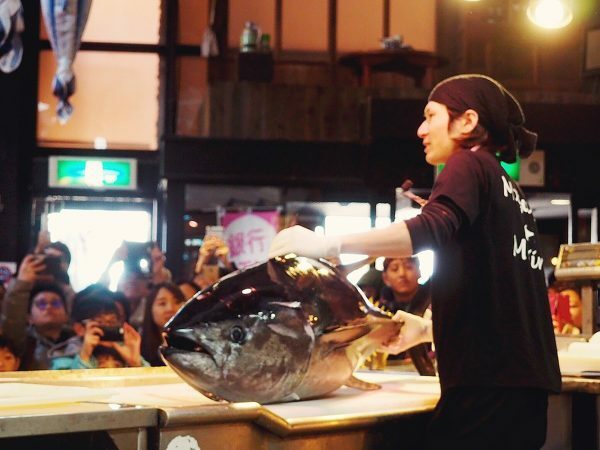 It is a market where anything can be found such as tuna, seafood, sushi and seafood barbecues. 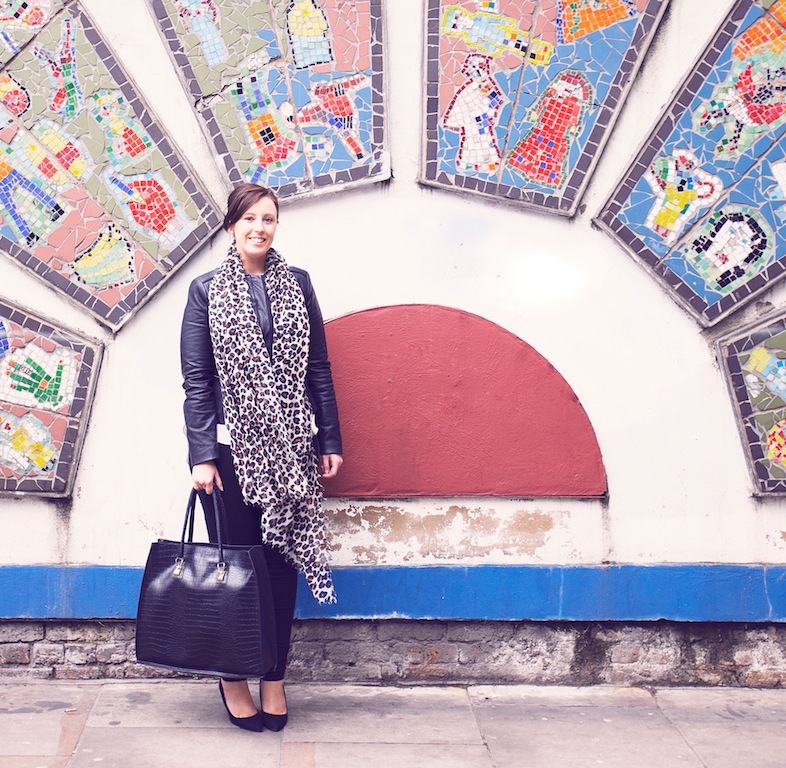 You can enjoy seafood barbecues and events and live shows on the huge floor. 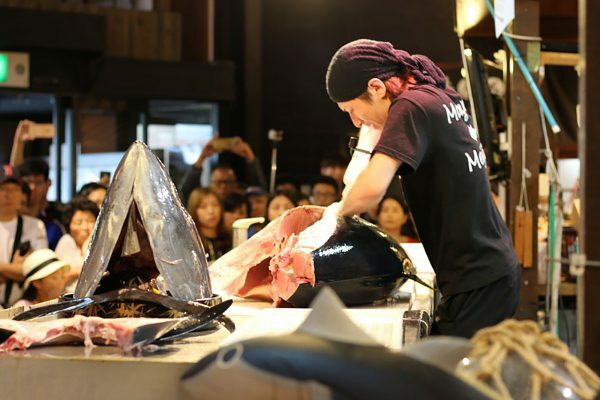 You can watch a nearly 100kg tuna be cut up before your very eyes. 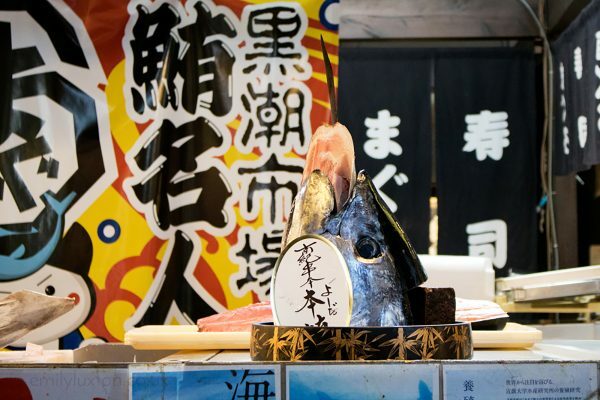 You simply can’t miss the tuna show at Kuroshio Market that takes place 3 times a day: at 11:00, 12:30 and 15:00! 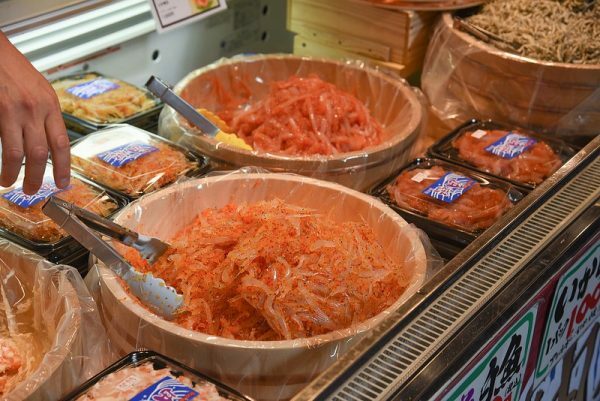 Kuroshio Market is the perfect place to try some authentic, fresh sushi, freshly cut tuna sashimi, eel sushi and other Japanese treats, sweet or savory. 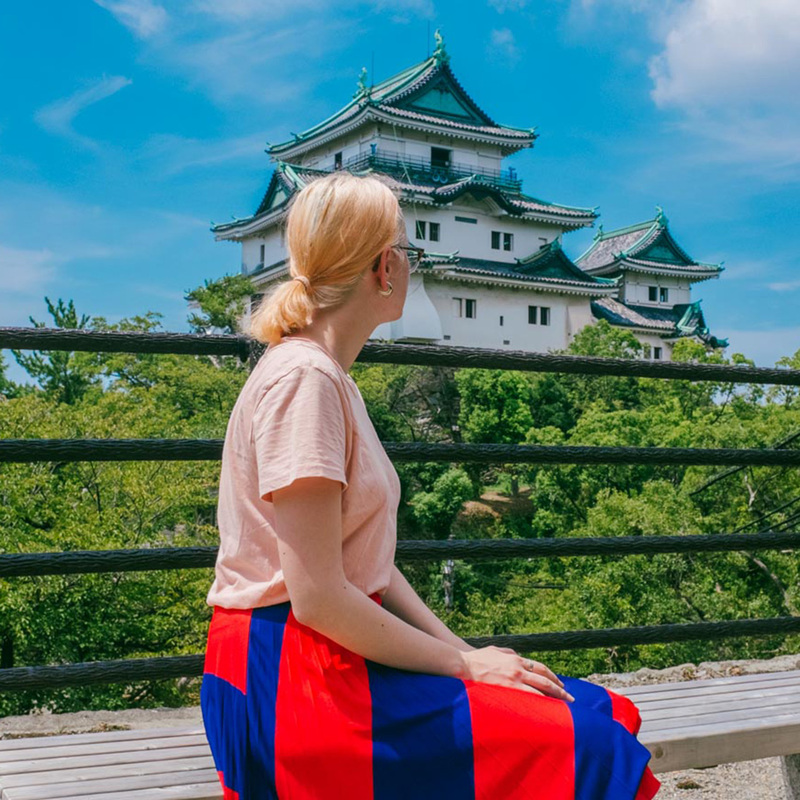 You can serve lunch there – just buy whatever your heart desires from the fresh dishes prepared on-site, or buy some fresh fish and they will barbecue it, and take a seat at the special eating place outside. 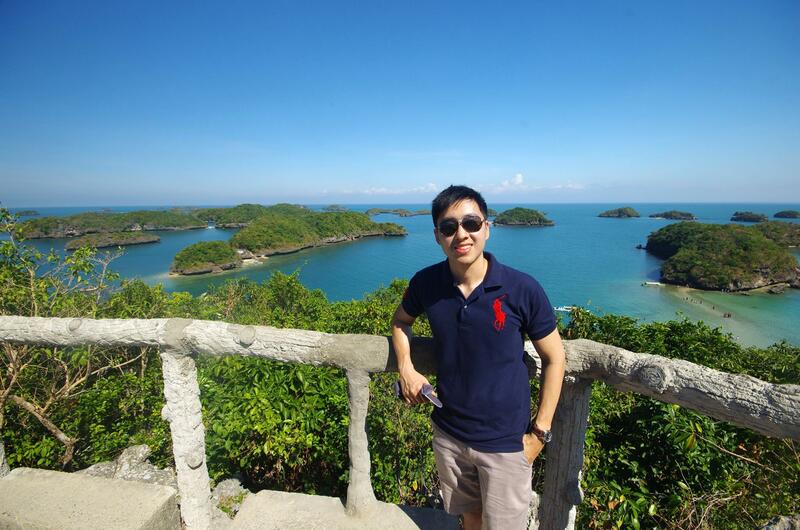 Enjoy your meal with a seaside view and you will understand what makes Japanese food so delicious! 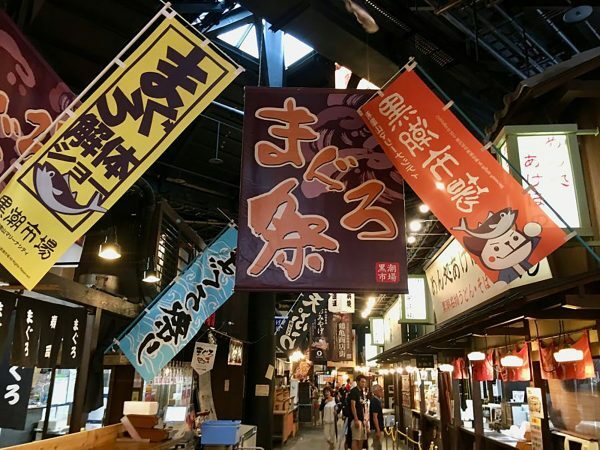 At Kuroshio Market, you can also buy great souvenirs and presents to bring back home, such as Japanese sweets and spices! Pro tip: If you want to take your tuna experience to a whole new level, you can try the sushi making experience for 1.500¥! 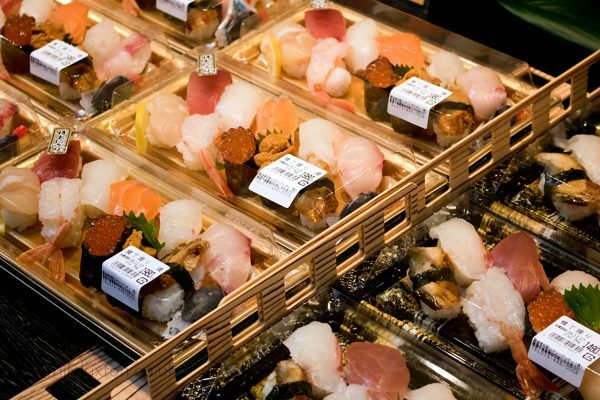 You can change into the special chef clothes and then the sushi chefs at the market will teach you how to make different types of sushi (5 types of nigiri sushi and 2 rolls). At the end, you will get to eat your own sushi! How to get there: Kuroshio Market is right near Porto Europe, very close to “Marina City” bus stop. Price: the access to the fish market is free and the tuna show is free to watch. 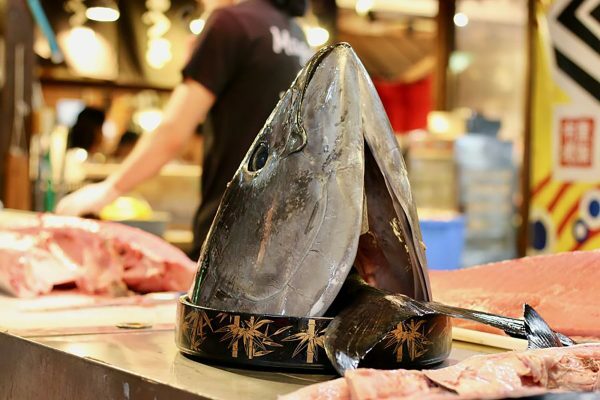 If you are coming to Marina City, make sure to time your visit for the tuna-cutting show at the Kuroshio Market. 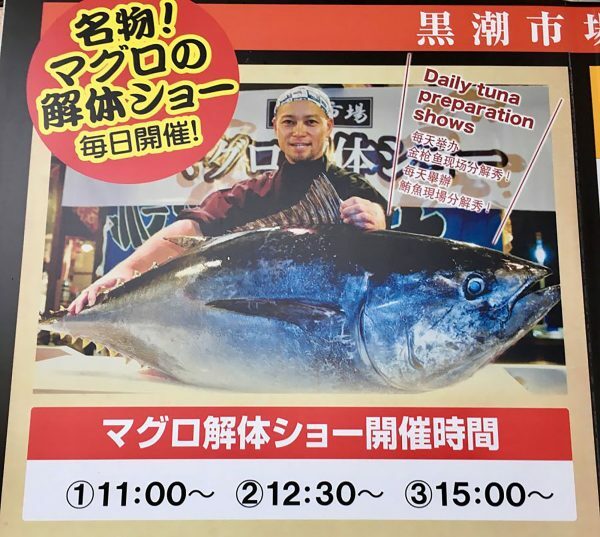 There are three tuna cutting shows each day, at 11AM, 12:30PM and 3PM daily. 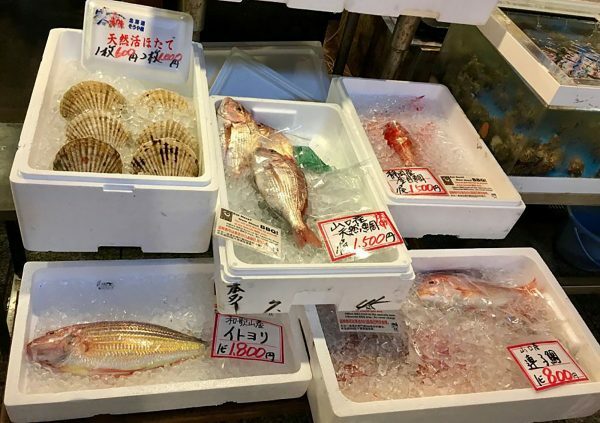 I visited at around 4:30pm and regrettably missed the show but the market is still a fascinating place to buy fresh sea urchins, crab, seafood and other Wakayama specialties. Do note that the market closes at around 6PM so this place won’t make a good dinner venue unless you’re willing to have dinner extra early. 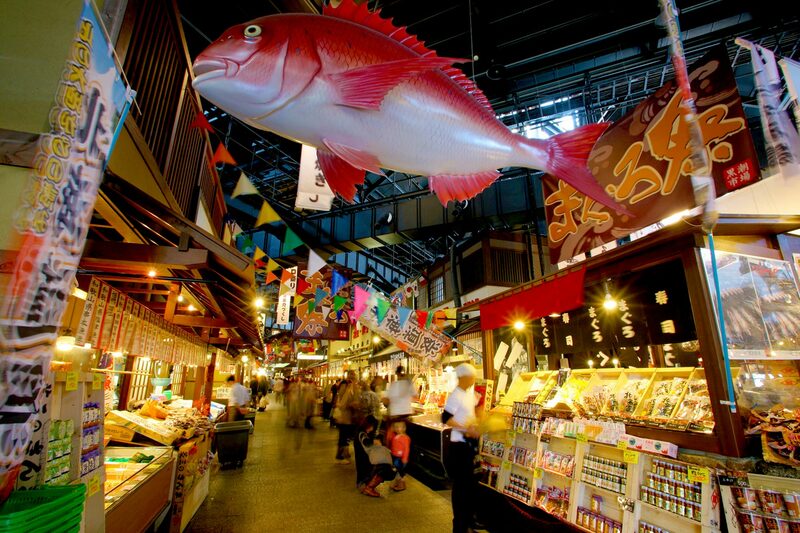 Situated a little south of Wakayama city in Kainan is the Kuroshio market. 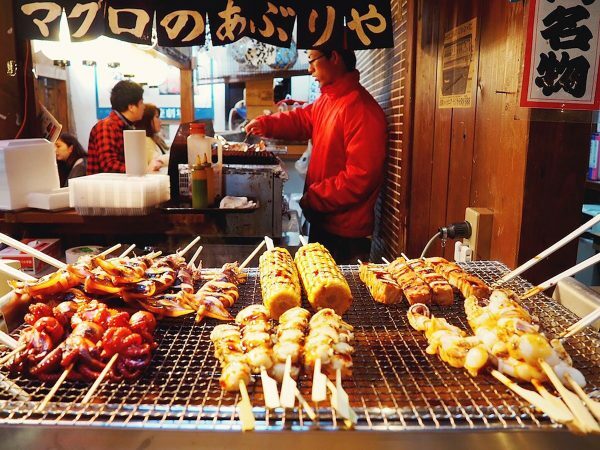 More of a BBQ and souvenir market than an actual fish market but still it has some great stuff to offer. The market is more of a food and tourist place where you can buy loads of different seafood and cook it yourself in a huge BBQ hall. The tuna show is 3 times a day at 11:00, 12:30pm and 15:00. 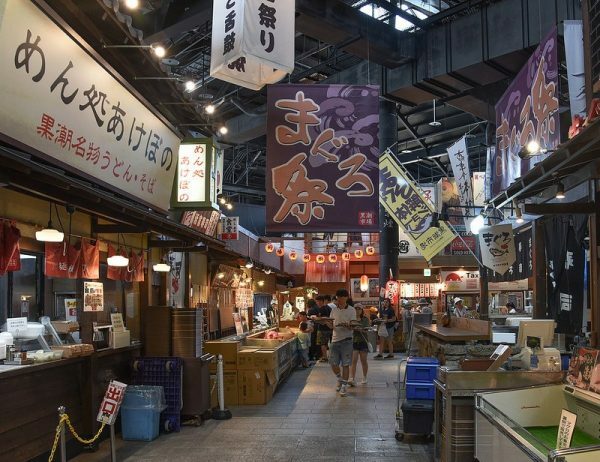 The market also has lots of dry goods and Wakayama specialty foods – and one of the best retail sake selections I have seen with all the local labels from Wakayama. You can get the bus from JR Station to Marina City it takes about 40 mins and costs 510 yen. The tuna show is 3 times a day at 11:00, 12:30pm and 15:00. 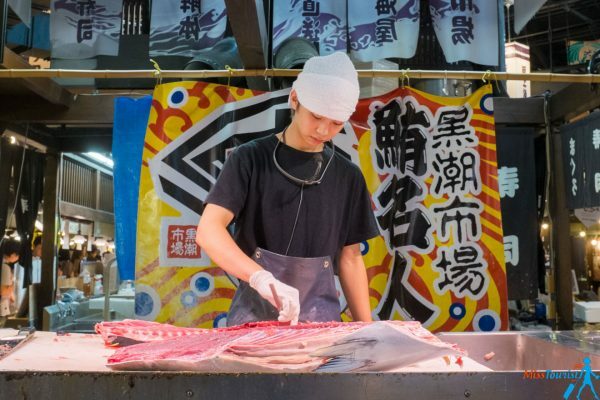 The market is more of a food and tourist place where you can buy loads of different seafood and cook it yourself in a huge BBQ hall. 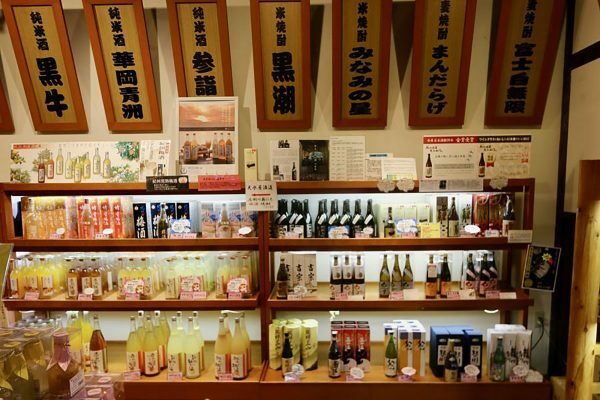 A great selection of Wakyama Sake (right) and ume, mikan and yuzu-shu on the left. 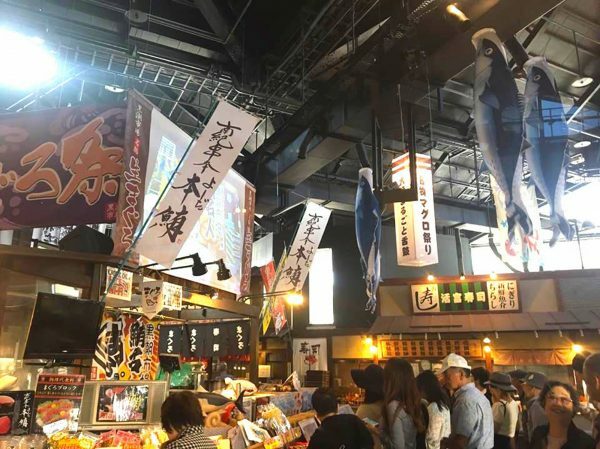 Kuroshio Ichibia Market in Wakayama Marina City is the place to come and try all of the region’s amazing seafood. 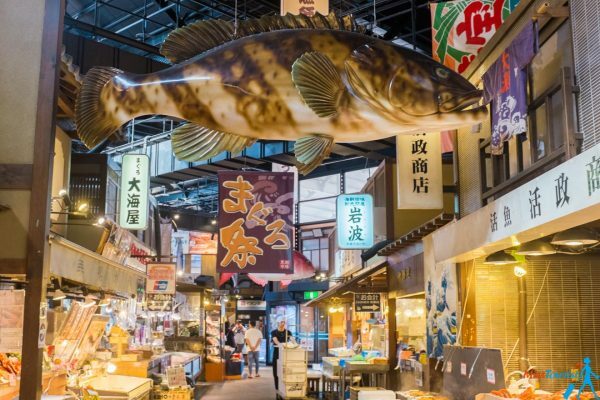 This foreigner-friendly fish market has enough sushi, sashimi and fresh seafood to keep you smiling for days. You can pick whatever you fancy from day’s catch at the market and then take it to the seafront BBQ area to cook it over coals there and then. 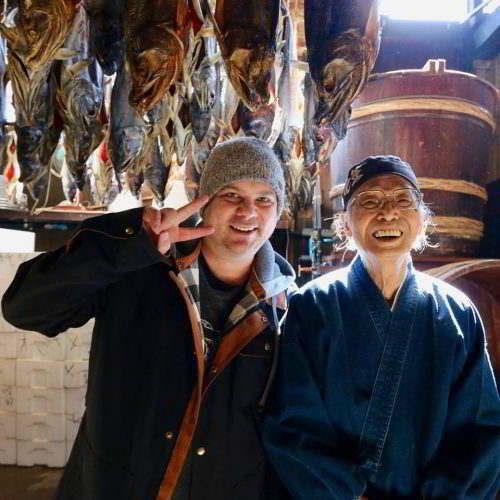 One of my favourite spots in Wakayama City was Kuroshio market, Wakayama’s fish and seafood market. It’s just outside Porto Europa, and features all kinds of incredible fresh seafood, from sushi to tempura to barbecue. Like a mini Tsukiji Market except you get three chances to see what I call the “tuna slaying” shows instead of just the one you have to wake up at the crack of dawn for. 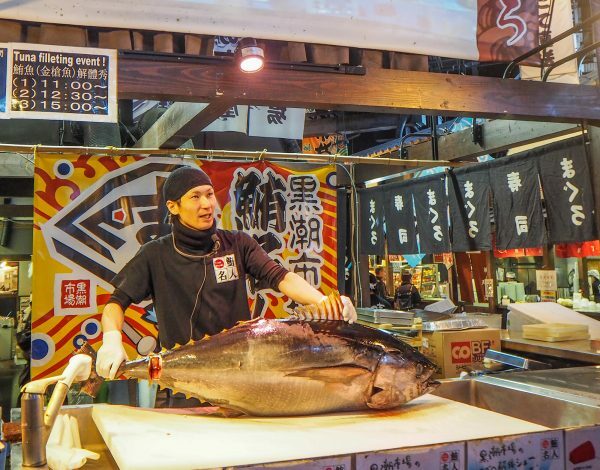 Yes, prices are still as expensive for a couple slices of tuna as they are at Tsukiji…but you’re in freaking Japan, so you might as well eat all the expensive high grade sushi you can get your hands on!